When searching for the perfect fireplace accessory, look no further. Only the highest quality materials are chosen to construct this beautiful willow log basket. The Rushden Deluxe Willow log basket stands at 12" high 21" wide and 16" deep, allowing it to contain a substantial amount of logs. It has strong reinforced edges and handles, which makes it easier for transporting. Storage will no longer be an issue with this treasure. 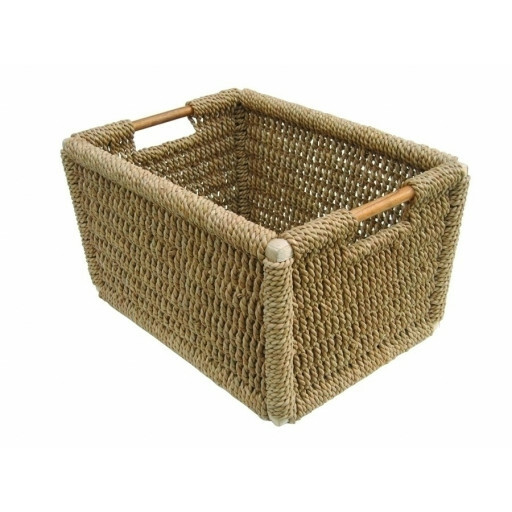 It is durable, lightweight and highly practical making The Rushden Deluxe Willow log basket the perfect choice for storing a variety of items around the home. Convert this wonderful carrier from a fireplace log basket into space-saving storage for books or magazines in the den or office by simply switching out the items you’ve placed inside. Create a unique and cohesive look easily by strategically placing multiple baskets in different areas of your home. The possibilities are numerous. Aesthetics isn’t an afterthought in regards to this classic design. Its rectangular shape, light beige colour, and flawless intricate weaving pattern, perfectly compliment the décor of any home. The items stored in The Rushden Deluxe Willow log basket can be used to warm your home, while the basket itself adds a little something extra to your home's ambiance. When purchasing The Rushden Deluxe Willow log basket, you can be sure you are getting quality.